If you missed Part 1 of this trip report covering my first two days at the Top Forks Hut in Mt. Aspiring National Park in New Zealand, go back and read that first! Despite the lack of a fire the night before the hut stayed warmer and after a marvelous, slept-like-a-dead-man 8 hours of slumber I awoke to a mixture of cloud and thicker cloud. I hemmed and hawed about getting out to shoot the sunrise when the weather made up my mind for me by sending down sheets of rain. Sunrise hopes dashed I went back to sleep for another 2 hours thanks to the sonorous ambience of raindrops falling on a roof over my head. Around 9:30 am the sound of rotor beats pulled me from my dreams and I got out of bed in time to watch a helicopter disappear up valley the way I had hiked the day before. That was followed shortly by a fixed wing plane and then just a few minutes later by yet another chopper. This one circled a bit before settling down and discharging three Kiwi hunters who planned to set up residence in the hut for the next week during a quest to bag a deer or Chamois. Alas, no longer alone in the hut I decided the best thing to do was be alone somewhere else. So I threw some clothes, food, and camera gear into my pack and bounced out of the hut and onto the track to Rabbit Pass. The first 100 meters of trail on the way to Rabbit Pass. Rabbit Pass is a challenging route that connects the south Wilkin River to the east fork of the Matukituki, which means you could have a fun, multi-day trip starting in Top Forks and ending in Wanaka. Trampers familiar with New Zealand will see the appeal. However, I had no such plans since I hadn’t laid out the logistics for such a trip. And arguably more importantly: the DOC staff, the helicopter pilot, the track brochures, the posters on the wall of the hut, and even the little bunnies I saw I said something along this lines of “if it’s raining, we really really strongly suggest and could not recommend more that you do not go over Rabbit Pass because part of the route is sketchy enough when it’s dry; when it’s wet you are tempting death.” And since I’m pretty happy when dying doesn’t enter my daily plans I decided that I would go as far as the sketchy part (known as the Waterfall Face) but no farther. The trail started out with a moderate climb on a decently-formed track through the gorgeous beech forest. A quick 10-minute jaunt brought me to a break in the forest with wonderful views of the northern fork of the Wilkin. Rain and cloud obscured the tops of the peaks but the grandeur was still obvious. Low cloud in the north Wilkin River Valley. From there the track reentered the forest, narrowed down, and climbed up over wet and slippery roots for the next 45 minutes. This is where the track entered the alpine scrub zone and became more fun (or less fun, depending on your point of view). At many points the trail entered stream channels and climbed vertically up them (after all, why waste taxpayer money on building a track if the stream has already done it for you!). When the trail wasn’t coinciding with a creek it was sidling through the bushes, barely wider than a deer path. Just like the day before I had to carefully watch every footfall in order to prevent a slip and slide into the bushes below me. The narrowness of the trail also meant that I was constantly plowing through sodden shrubs and despite wearing my rain gear I was soaked from the knees down. Appropriate attire for trekking through wet alpine shrubberies. I may not be as fast a hiker as I was 10 years ago but I am good at maintaining a steady pace, even while climbing steeply. I had the wonderful beats of Lake Street Dive pumping through my headphones and I marched up through the brush for an hour until, suddenly and without much fanfare, the track become horizontal and I entered the Waterfall Flats area. This is a spot where inexplicably the river flows horizontally for a few km before crashing down the narrow ravine I had just climbed up. As a consequence there is a gigantic, flat-bottomed cirque there surrounded by enormous walls and waterfalls. Waterfall Flats looking north to the outlet of the cirque. From just past the entrance to the flats I could see the head of the valley about 2 km in the distance. It was a somewhat tedious, yet straightforward, 45-minute bush bash and river crash through the tussock and river to reach the valley terminus. The rain had slackened considerably and I sat down to eat lunch with the sounds of two massive waterfalls (one over 1300 feet high) serenading me. As soon as my bag was off my back though the rain and wind picked up again and I could feel hints of snow in the air. I retreated to the semi-protected shelter of a nearby rock bivvy to down my salami sandwich and pretzel sticks. I also found a strange, worm-like creature in my water bottle so had a bit of extra protein as well. Lunching, tramping-style. The potentially deadly Waterfall Face route can be seen directly above the left edge of the rock biv in this photo. With dying not on the menu for the day there was little else to do at this point but head back down to the hut. After the 45-minute pound across the flats I was treated to what was becoming a very rare treat on this excursion: sunlight! The clouds broke open for about 5 minutes and beautiful, warm, golden light streamed through, illuminating the distant peaks and allowing me to pretend it wasn’t as cold out as it was. A rare moment of blue sky in the Waterfall Flats. As quickly as the sunlight appeared it vanished, replaced once again by brooding clouds. With little reason to stick around the area I descended the trail with single-minded purposefulness, passing the next 2 hours 30 minutes by having a series of nonsense conversations with myself like what I would do if I had bought a bunch of bitcoin back in 2010. Answer: spend most of the earnings on scenic flights in New Zealand, probably. I arrived back at the hut with a few hours of daylight left so I thought I’d play around with some underwater photography. I did wade into the river and rattled off a few shots but condensation on the inside of my dome port left the images cloudy and uninteresting. So I disassembled everything back at the hut and left it out to dry completely. Ever wondered what a glacial river looks like beneath the surface? Wonder no more. Shortly thereafter the Kiwi hunters returned and with the wood I had laid out to dry they got a good serving of coal ignited and the little stove cranked up the temperature in the hut to comfortable t-shirt levels. We sat around and bullshitted while the hunters attempted to deep fry steaks in a makeshift fryer, and I enjoyed a freeze-dried something or other before crawling into bed and zonking out for the night. Day 4 kicked off once again with the hopeful goal of photographing at sunrise. When my alarm went off about 45 minutes before sunrise I peeked out through the window of the hut and saw that the sky looked promising. I slipped back into my sleeping bag to squeeze a tiny bit of that sweet early morning snoozing out of life and within five minutes there was a thunderous downpour outside. Sunrise goals crushed I fell back asleep for another hour. When I woke up for the second time the rain had well and truly stopped and there was, too my great delight, ACTUAL SUNSHINE coming out of the sky and hitting the mountains. What is that bright stuff on the mountains? Thanks to the fire the night before my camera and underwater housing had completely dried out. The temperature outside the hut was already somewhat warm, which helped prevent condensation as well when I brought my kit outside and assembled it. I then slipped into my soaking wet shoes (one night in front of the fire was unfortunately not enough to dry them out) and squelched off down to the river. In my previous attempts at split under/over photography I had been frustrated by depth of field issues: focusing on a subject under the water meant the background was often out of focus, even at f/16 or f/22. But at those apertures either shutter speed or ISO has to skyrocket in order to provide a good exposure, but both come with their own set of technical issues I don’t want to get into here. Instead I had an idea that I could shoot at f/5.6 and simply shoot two exposures, one focusing on the background, and one focusing underneath the water. I reasoned that as long as the compositions roughly lined up (I was shooting handheld so no perfect alignment here thanks to a tripod) I could easily blend the shots later in Photoshop to get the best of both worlds. That morning’s shoot was a conceptual test of that idea and I didn’t hold out much hope for a good photo; I simply wanted the proof of concept. Thankfully the beautiful light on the mountains and the electric blue of the water meant that I had good raw material to work with. And after a little trial and error a few days later in Photoshop I was able to create my vision of a split shot of the Wilkin River near the Top Forks Hut. Mount Betsy Jane and the Wilkin River. Composite of two photos taken from the same spot, both at f/5.6. One shot focusing on the background, one on the foreground. Photos combined later in Photoshop. After shooting till my toes started to go numb, as well as killing the requisite number of sandflies (42), I tromped off back to the hut and was greeted by the mouth-watering smell of frying bacon and eggs. The Kiwis were up and cooking. I contented myself with the much less delicious but arguably morally superior breakfast of bland oatmeal. Then it was time for me to pack up. My pickup the next day was by jet boat, approximately 10 miles down the trail. Which meant I needed to mosey off to the Kerin Forks Hut, which sits at the confluence of the Wilkin and the Siberia Stream. Two of the hunters, Doug and Damian, were heading off in that same direction to find a suitable spot to spend the day hunting (read: looking through the scope and drinking beer). So the three of us spent an amiable 45 minutes tramping downstream talking about things like the NZ army and the NZ dairy industry until the guys peeled off to wander up to a clearing on the hillside. NZ is a land of waterfalls. Hiking solo again I tried to follow the marked track but after finding it to be nothing more than annoying bush bashing I hopped down into the river and followed the gravel banks, crossing the river as necessary. It was already flowing fast and deep; I couldn’t imagine what it would be like all the way down at the confluence with the Siberia Stream. Not long after the river became too deep to continue along on foot and I spent an ugly hour slopping through wet tussock and falling in the occasional pit before gaining drier and better track as it entered the beech forest. Looking back toward Top Forks. 20 minutes later I stopped to pee, and feeling utterly isolated I stood just on the side of the track and peed right there. Imagine my surprise then when I zipped up and turned around and saw five people walking up the track toward me. Thankfully they had been too busy looking at their feet to notice me whizzing 20 feet ahead and seemed as surprised as I was when I said hello. We chit-chatted about trail conditions and tramping plans then I was off again, enjoying the good track through the forest and stopping to marvel at the outrageous mushrooms growing out of the rich soil. Why did the mushroom go to the party? Because he was a fungi. Soon the trail came out of the forest, over a stream, and emerged in a gigantic clearing. I had arrived at Jumboland. A beautiful, grassy plain sitting at the confluence of the Wilkin River and Wonderland Stream, Jumboland was named after a famous horse who roamed the area with some of the early explorers. It was so lovely and pleasant there I stopped for a quick lounge in the sun. But after dozens of sandflies found me and began swarming around I was quickly on my feet and walking again. Somehow I had forgotten my baseball cap on this trip, and with the amount of rain I’d seen so far it hadn’t been a problem. But the skies over Jumboland were mixed rain and sun and I could feel my scalp cooking in the clear moments. I tied my bandana into a makeshift head covering and was surely an odd sight, dressed in bandana, plaid shirt, and full bib rain pants. 20 minutes later as I hiked back into the forest the rain had all but stopped, the sun was beating down, and taking those rain pants off urgently became the most important task I could imagine in life. Legs freed and a quick lunch downed I shouldered my pack and spent the next few hours cruising through the marvelous beech forest. The track became better maintained with every step and I was flying along despite trying to not walk very fast. Tunes, thoughts, and river crossings all blurred together over the next three hours in a wonderful, dreamlike hiking melange and I found myself reluctantly arriving at the Kerin Forks Hut at 5 pm. I walked inside to find the most spotlessly clean hut I’ve ever seen (thanks to the diligent efforts of those five trekkers I passed early) and thought, “I can remedy that!” and promptly threw my belongings all over every conceivable surface. With trail like this you don’t want the hike to end. I popped back outside to spend a few minutes surveying the area near the hut but I saw more sandflies and got more bites in those few minutes than during the rest of the trip in total. During my lookabout I spied a giant pile of cordwood in the woodshed and despite the fact that it was fairly warm out I decided to start a fire in the hut so I could dry my shoes out. With stacks of wood and kindling I got the fire going licketysplit and stuffed the woodstove full of tinder. Soon it was so hot inside the hut I was sweating just sitting there in a t-shirt and shorts. Oops. But damn if my shoes weren’t drying out in record time. After a few hours I made a spicy curry for dinner and was sweating even more from internal heat. That may have been a mistake but saving my largest ration of chocolate for the last night certainly wasn’t. No one else ever arrived at the hut so I spent the evening lounging, reading tales from other travelers in the hut log, and journaling the day’s experiences. My last day of the trip started with the Mystery of the Phantom Mouse. In the wee hours I was awakened by a scritch-scratching in the walls of the hut. Then without warning something plopped onto my pillow (pillow is a loose term I am using to describe anything you can rest your head on; in actuality it was my down jacket jammed inside a stuff sack). I sat bolt upright and grabbing my headlamp I sprayed a beam of light across my bed and the floor of the hut. Nothing. Absolutely nothing moved or made a sound. The phantom mouse had come and went. So I rolled over and nodded off. When I woke up for good around 8:30 am it was to more rain. Sitting warm and comfy inside the hut I reflected gratefully on the moments of nice weather I had experienced. A few coals lingered in the stove so I stoked the fire back up and leisurely packed up my things, reorganized and stacked the wood, and cleaned the hut. Around 1:15 I heard the roar of a jet boat coming up the river so I grabbed my pack and walked down 10 minutes to the river’s edge to meet my ride. I hopped in the boat alongside a few other trekkers that had come down from the Siberia Valley and we had an exhilarating 25 minute ride back to the town of Makarora, along the way picking up a man and his dog who were happy to get out of the river and into the boat. Back in town I jumped in my car, cranked up some music, and drove back to Wanaka. Another great trip in the books! Thanks for sharing your journal. Interesting and inspiring as always! There is something strangely appealing about walking through the beech forests in New Zealand during rain. When the mountain scenery is obscured by clouds, the things that attract me the most are the various fungi, lichens and mosses that cover everything. I’m glad you paid some attention to them too. You said it! The New Zealand beech forest is one of the most magical, fairy-tale environments I’ve ever walked through. Combining a mountain and a river in a photo, seen it a million times. But combining a river shot half under the surface and in focus, and the mountains as background, thats a first for me. Well done sir. Much appreciated! I am excited about the possibilities shooting like this opens up. Because like you I am getting a bit tired of shooting the same old kinds of shots! Great, great tet. I enjoued every word of it. It was like I was with you along this fantastic trip! Thanks Josh! I truly love your travelogs. As was said above by Miroslav….I felt as though I was there. Your photos truly bring NZ to me. Thank you so much, Michelle! I’m happy you enjoy reading them, as I enjoy writing them. 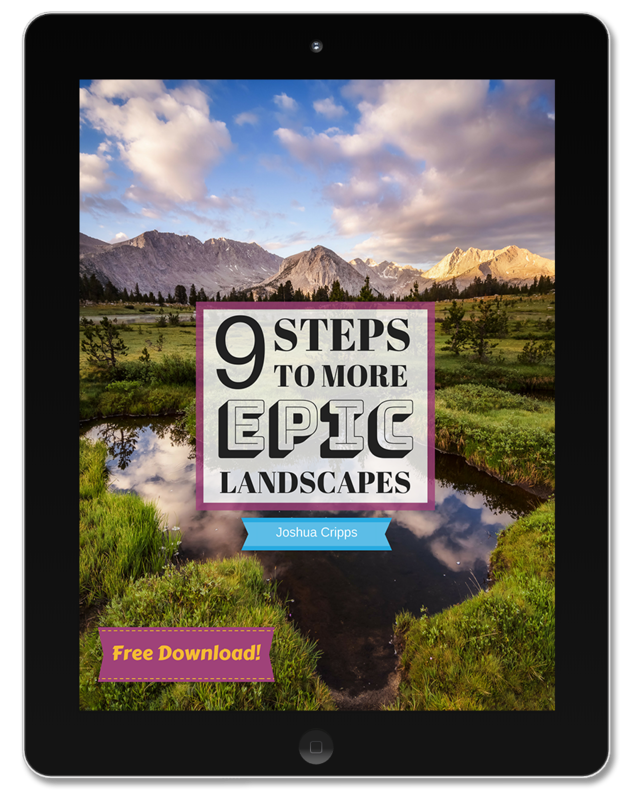 Enjoyed reading parts 1&2 of your trip, along with seeing your images of the beautiful landscape New Zealand has. Thank you, Barb! Lots more trip reports coming soon.